I must say that the Wraith 905 really impressed me. Hardy describes the rods as “very fast,” but I would call it “fast” by the standard of the Sage Method and Scott Radian, perhaps an 8 out of 10 in stiffness. It’s fast, but highly castable to any angler. Cleverly, the action of the Wraith is almost unique in our industry right now. It is faster than the NRX but slower than the Radian or Method. I found the Wraith to be most similar to the Sage ONE in basic casting cadence. The ONE may be more accurate, but the Wraith might offer better feel. The rod has spectacularly light swing weight. It’s light and feels even lighter. Casting loops come from the tip naturally and easily. With a Rio Gold, the rod offers both line speed and loop control in a tremendous range, from 25 feet to over 75 feet. To me, what really distinguishes the Wraith is the feel transmitted back to the caster. Most fast rods really aren’t as sensitive as slower ones, but the Wraith is an exception. As with the Zephrus, I don’t like the guides, cosmetics or name, but Wraith is an outstanding fly rod. 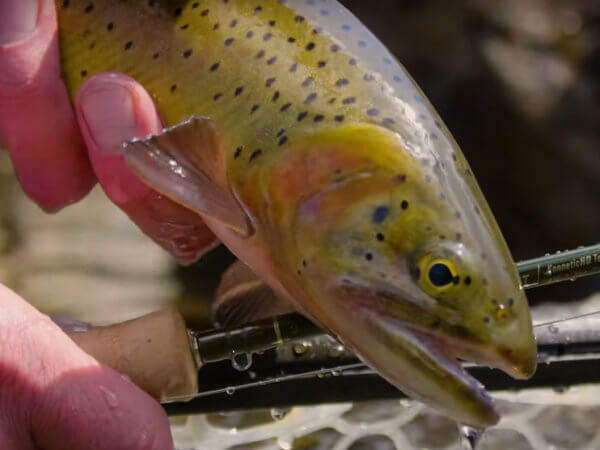 I’ve never written a fly rod review before. This is mainly because the vast majority of rods are nothing like as good as the marketing hype that precedes them.